From the Beach or with a Boat? Big fish and little fish, of all shapes, forms and colors... Bright soft corals and seafans swaying with the gentle surf... A turtle gliding by... A lobster hiding behind the rocks... Each time is unique, and always always magical. The reefs, however, are NOT right off the beach at the park. They are between 3 to 8 miles offshore (hmmm too far to swim...) so getting to them involves a boat tour, which there are several provided by Pennekamp's Main Concession as well as the many outfits that operate outside the park. Pennekamp or Key Largo Snorkel Tour? 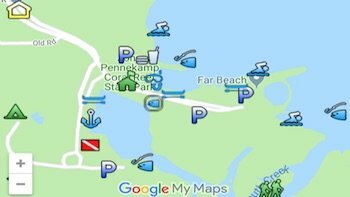 Snorkeling from the Beach at John Pennekamp Park? It takes between 30 to 45 minutes to get out to the reefs, depending on which site they go to. Normally, the snorkeling tours go to the protected inner reefs and depths range from as shallow as 5 feet to 15 feet. You get at least one hour in the water. You should allow about three hours for the snorkeling tour altogether. The crew is quite helpful with instructions and tips for beginner snorkelers, but if this is your first time, you might want to "practice" first at the beach with full gear, make sure the mask does not leak, the fins are not too tight, kick around a bit and get the hang of it. This is a protected area, so be mindful of some basic rules which the staff will point out like not touching or standing on the coral, and not taking anything from the water, live or otherwise. There are six regularly scheduled tours throughout the morning and afternoon. Cost is $29.95 for adults $24.95 for children. During holidays or when arriving later in the day you might want to make reservations as the spots go quick. There is also an "extended" option that lasts 4.5 hours and brings you to two different spots. These boats leave at 9:00am and 1:45 pm only and cost $38.95. Space is more limited on these tours, booking ahead is a good idea. A snorkeling vest is provided but snorkeling gear is NOT included in the tour, you can either bring your own (which most people do) or rent from the concession stand. Snorkeling gear is available for rental at the park. This is one of the best assorted shops around. The gear is well maintained and in excellent condition and they carry all sizes, including children sizes, as well as prescriptions masks. Available are masks $2, corrective masks $5, snorkels $5 (you get to keep it), semi-dry snorkel $9.95, Dry snorkel (highly recommended!) $19.95, fins $2, and wetsuits $6 if needed during the winter. 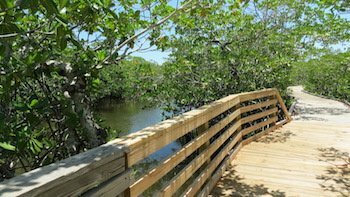 Well-known John Pennekamp State Park is convenient and often the first spot most visitors come to access the reefs of the Florida Keys. 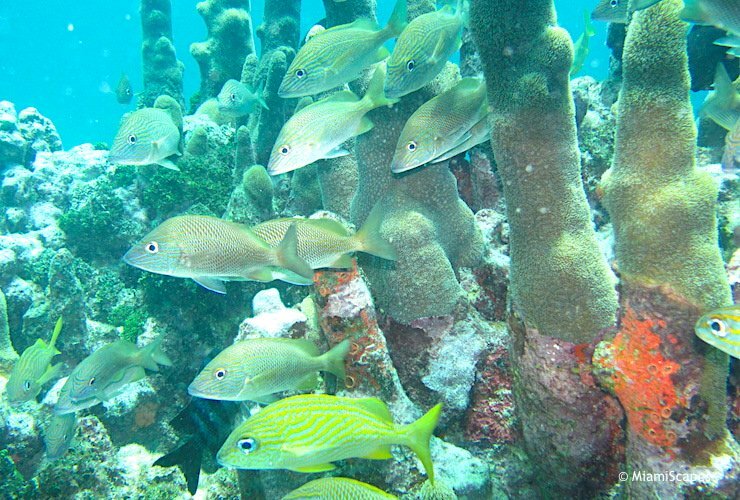 What is worth noting, is that the offshore reefs which the boats from Pennekamp frequent, are also accesible through the many snorkel and dive operators in Key Largo, in fact, if you just keep driving, you will see the freeway lined with dive flags marking the hundreds of operators offering snorkel or scuba trips to the reefs. 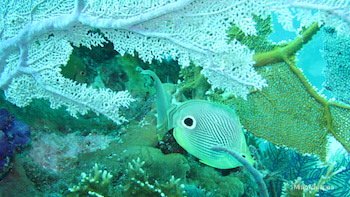 This opens up many more options to those whose main purpose is to explore the reefs and nothing else, and here are some points to consider when deciding whether to snorkel or dive with a Key Largo shop or join one of the snorkel tours from Pennekamp. 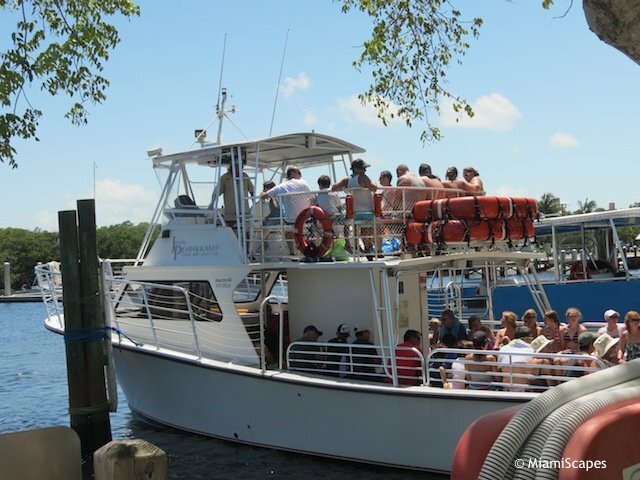 Pennekamp boats can be very crowded, people used to joke about seeing more snorkelers than fish in the water... You can find operators that will conduct tours with smaller groups. 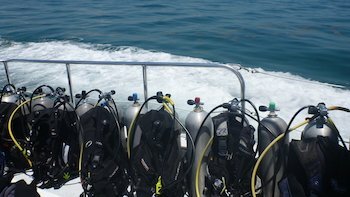 If you want a "guided" snorkel tour, some of the outfits are able to provide guides, same thing goes for diving, they will put a Divemaster or Dive guide in the water for no additional charge. Pennekamp does offer also that option now, a Personal or Group in-water guide is available upon request for $45 plus tax. Each additional snorkeler (guided) is $15 plus tax. Max. group size is 6 snorkelers per guide. 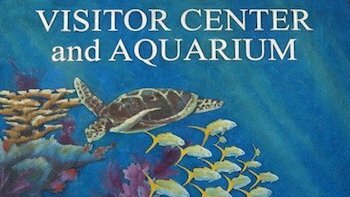 If you just want a snorkel tour, stick with one of the operators outside the park and save the Park's entrance fee. At Pennekamp, snorkeling and scuba diving tours are ran by separate shops, the snorkeler tours are all-snorkelers, and the scuba tours, are divers only. 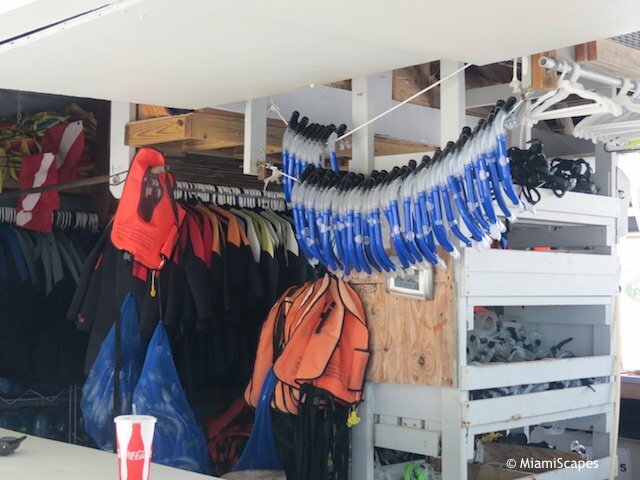 Other shop operators in Key Largo may combine both snorkelers and divers on the same charter which ends up being either too deep for snorkelers or too shallow for divers. As a general rule, we try to choose when possible an operator that offers a snorkeler only boat. If you want to shower and change after your dive/snorkel, check whether the operator you choose has the facilities, not all do. There are plenty of restrooms and shower/changing facilities at Pennekamp which are clean and well-maintained. 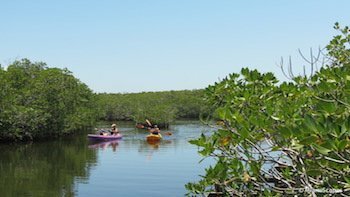 If not everyone in your group wants to snorkel, then Pennekamp is great since it has many other options. Some can go on the snorkel tour while the others chill by the beach, go for a stroll on the boardwalks, take a canoe or kayak out, or the glass-bottom boat, a different way to see the reefs. Everyone is happy. 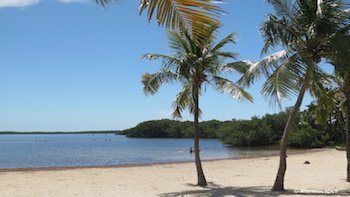 There are three small beaches at the park and you do see people snorkeling around, but the snorkeling is dull when compared to the reefs. If you want crystal clear waters, lots of tropical fish, beautiful colors... well, this is not it. The beaches are marked on the park's map as "snorkeling beaches" but the snorkeling is not really good. The bottom is sea grass, lots of sand gets stirred up by kids in the water BUT there is still lots to see if you really look. 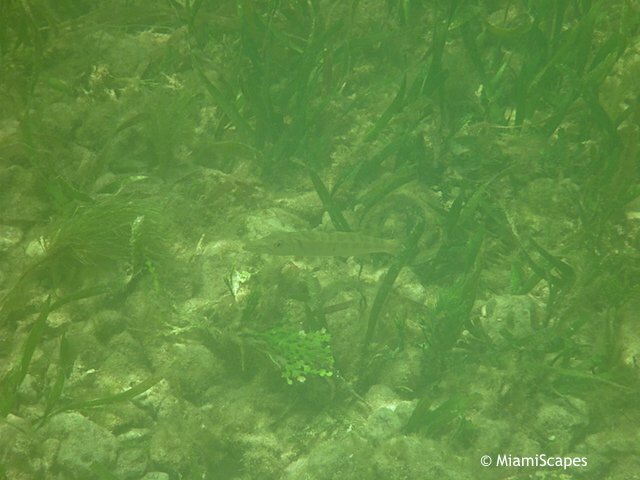 There's always little critters in the seagrass and along the mangrove shore, perhaps silvery fish darting about... stuff may be difficult to see, visibility is not the greatest, but we always have a good time. Here's more on snorkeling from the shore at Pennekamp. In addition to the above rates, you must pay the Park entrance fee as well. 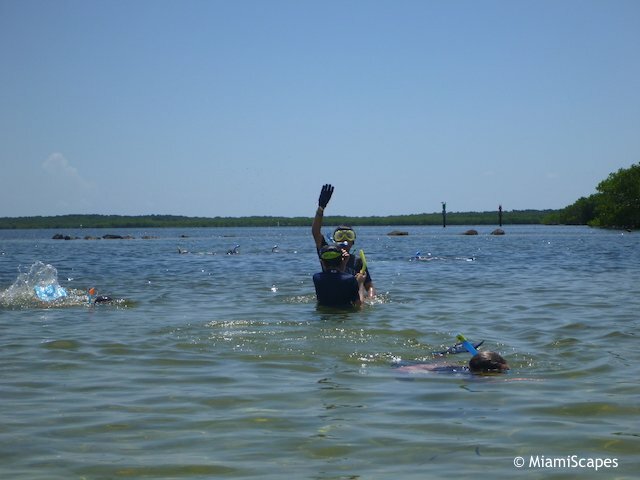 More info, reservations and $5 off coupon: www.pennekamppark.com/snorkeling or call (305)-451-6300.